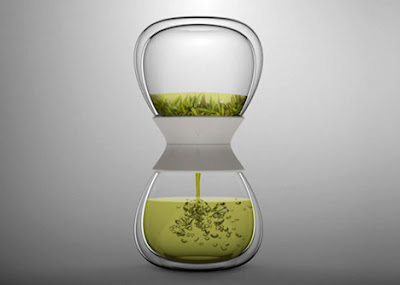 An hourglass-shaped infuser that looks like an hourglass but also lets you adjust the steeping time by twisting the two halves relative to each other. A single-serving teapot that allows you to control the steeping time by deciding when to push the button, releasing the infusion from the brewing chamber into the pot itself. Ingenious! Tea Duckie, a floating infuser that must also be one of the tea world's cutest brewing implements. All of these infusers are also proof that more and more people are brewing loose-leaf tea. Court adjourned — for tea.